Climate change and Melbourne’s growing population are placing strain on finite resources like water and energy. It is important that we plan for and adapt to this changing environment. We are building waste to energy facilities that process commercial food waste into clean, renewable energy. Turning food waste into energy helps to reduce landfill and cut greenhouse gas emissions, while reducing our energy costs helps us to keep water bills lower. Commercial food waste is transported to the site in trucks, and then fed into a sealed tank called a ‘digester’. Bacteria in the digester causes the waste to break down. As the waste breaks down, it generates biogas, which is mostly methane (the same gas used in the natural gas network). The biogas is cleaned to remove odours and impurities. The biogas is sent as fuel to a generator to produce electricity. 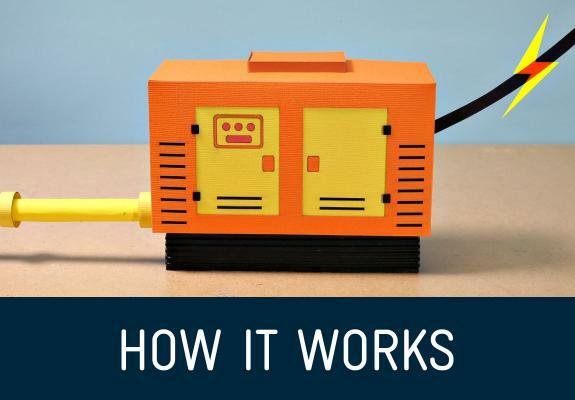 The electricity can be used locally on site or sent to the electricity grid. Our first waste to energy facility in Wollert, in the north of Melbourne, has been operating since May 2017. Commercial food waste producers, such as markets or food manufacturers, deliver 33,000 tonnes of food waste to the Wollert facility each year. The facility can produce around 22,000 kilowatt hours of electricity per day, the equivalent power demand of around 1,300 homes. The waste to energy facility sits next to our Aurora sewage treatment plant. The electricity generated powers both the facility itself and the sewage treatment plant. A significant amount of excess energy is exported to the electricity grid. Our waste to energy facility has been highly successful and delivered great outcomes for business and community. 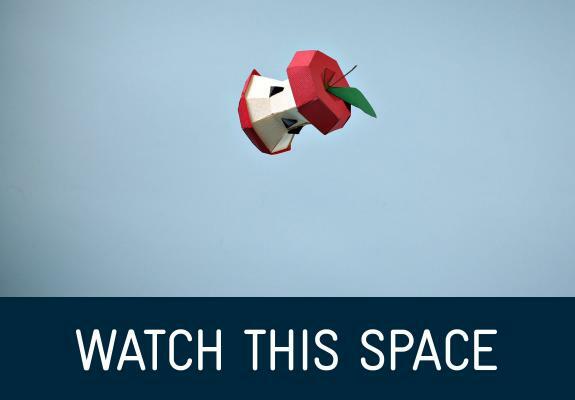 Stay tuned for new announcements about our future waste to energy activities. 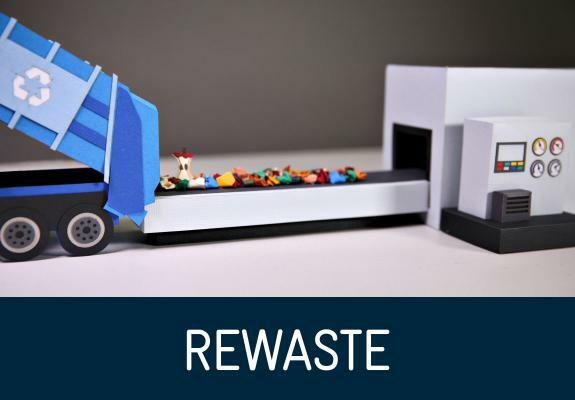 ReWaste manages waste supply to our Wollert facility. Waste deliveries are accepted from approved suppliers from Monday to Friday. A growing population and changing climate are putting pressure on finite resources. Yarra Valley Water is the third-largest water utility in Australia, and its energy needs are only going to increase in the future. We have a responsibility to our customers, our stakeholders and the environment to find new ways to generate our own clean energy to power our water and wastewater infrastructure. Our waste to energy facilities will help ensure that we are energy independent, assisting us to reduce our carbon emissions and take pressure off customer bills. Waste to energy diverts food waste from landfill and puts it to good use generating clean energy that powers something Victorians use every day. Our facilities create clean, renewable energy by diverting thousands of tonnes of food waste away from landfill to be turned into something useful. Landfills face great challenges in managing environmental issues including greenhouse gas emissions, vermin and leachate runoff; many of these issues are created or exacerbated by food waste, so the less food waste going to landfill the better. By using this food waste to generate low-emission renewable energy, we also reduce our reliance on fossil fuel sources. Yarra Valley Water aims to generate 100% of our own clean energy by 2025. 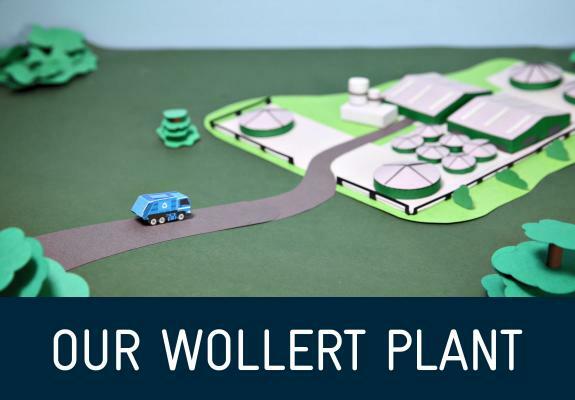 Our waste to energy facility at Wollert is run as an efficient business, providing a commercial service that competes with other waste disposal options. Over time, investment in waste to energy pays for itself through a combination of gate fees received for accepting food waste, reduced purchase of electricity from the grid for our infrastructure, and the sale of excess electricity to the grid. The facility also allows Yarra Valley Water to make better use of existing land around our treatment plant sites. Over the long term, the net-positive financial benefits of waste to energy will help to reduce pressures on customer bills. Our facilities can only process food wastes. We cannot accept other organic wastes (such as garden waste or wood) or inorganic wastes (such as plastics or metals), because they can’t be easily broken down by our digester. To reduce the likelihood of receiving contaminated waste, we only accept deliveries of food wastes through commercial organisations that we have an agreement with. If you think you might have the sorts of waste we are looking for and would be interested in becoming a business partner, visit rewaste.com.au for more information. How do you manage the waste? Installing equipment and structures to manage the risk of odour or waste escaping to the environment. Our facilities are subject to licences from the EPA, and are regularly audited to ensure compliance. What products does it create? The main outputs of our facilities are biogas, which we use to create electricity, and digestate. Digestate is leftover processed food waste. For every 100 tonnes of food waste that is treated we are left with about 85 tonnes of digestate. Digestate is rich in nutrients and has many possible uses. We are committed to finding ways to reuse this material in a variety of sustainable agricultural products. Our Wollert waste to energy facility has 1 megawatt of electricity generation capacity. On a typical day it can produce around 22,000 kilowatt hours of electricity. We use the power we create to directly power the facility itself, and the treatment plant next door. The remainder of the electricity is exported to the grid. We can then use that exported power to offset electricity use at other sites. The electricity generation equipment also creates a lot of waste heat. This heat energy is reused on site by being fed back to the digesters to keep them at a constant temperature.